"Loro," directed by Italian Paolo Sorrentino, was released Turkish audiences this week. Featuring Toni Servillo, Elena Sofia Ricci, Riccardo Scamarcio, Kasia Smutniak, Euridice Axen and Giovanni Esposito, the film is written by Sorrentino with Umbrella Contarello. It tells the story of former Italian Prime Minister Silvio Berlusconi on the silver screen. Sorrentino touches on both the famous politician's private life and Italian politics in the film. 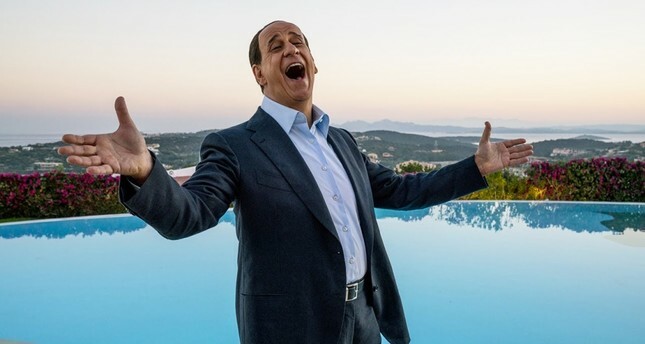 The director looks at the backstage scandals that are much-talked about while drawing a portrait of Berlusconi, one of the richest people in the country, along with his political career, in the biographical film. Directed by Donovan Marsh, the action/thriller film "Hunter Killer" stars Gerard Butler in the leading role. The successful actor is accompanied by Gary Oldman, Linda Cardellini, Zane Holtz, Toby Stephens and Henry Goodman in the film. The production tells the struggle of an American submarine team's efforts to prevent World War III. "Kursk," focuses on the sinking of the Kursk submarine, which resulted in the deaths of 120 Russian soldiers, and is directed by Thomas Vinterberg. In the Belgian production, the families of sailors desperately battle political obstacles and impossible odds to save them as they fight for survival. Starring Lea Seydoux, Colin Firth, Matthias Schoenaerts, Michael Nyqvist, Max von Sydow, August Diehl, Matthias Schweighöfer, Steven Waddington, Joel Basman and Eva van der Gucht in the leading role, the film is written by Robert Rodat. "The Professor and the Madman" revolves around the story of James Murray, who begins work compiling words for the first edition of the Oxford English Dictionary in the 19th century. Starring Mel Gibson in the leading role, the film also features Sean Penn, Natalie Dormer, Ioan Gruffudd, Jennifer Ehle and Jeremy Irvine. It is directed by Iranian filmmaker Farhad Safinia. Adapted from famous writer Nick Hornby's namesake work published in 2009, "Juliet, Naked" depicts the story of a couple named Annie and Duncan, who loved each other once upon a time, and Tucker Crowne, who reaches an important position in his music career in that period. Directed by Jesse Peretz, the romantic comedy stars Chris O'Dowd, Rose Byrn, Ethan Hawke, Phil Davis, Azhy Robertson and Ayoola Smart in the leading roles. "Fat Buddies," directed by Bei-Er Bao, centers on the story of a security worker who comes across obstacles because of his physical condition while realizing his dream of being an agent. "Bana Bir Şarkı Söyle" ("Sing Me a Love Song") is a film that tells the story of a man who embarks on a different path in his life through a plan that his best friend has made. Directed by Mehrdad Ghaffarzadeh, the drama stars Yusuf Çim, Afsaneh Pakroo, Ali Burak Ceylan, Hazal Türesan, Ayşen İnci, Semra Dinçer, Alihan Türkdemir and Pejman Bazeghi. Directed by James Snider, "Jumbo" is one of the animation films of the week. It tells the story of an elephant and some friends who try to help him. The other animation of the week is Anthony Power's "Coconut the Little Dragon - Into the Jungle." In the production, events develop after the little dragon meets some water dragons.